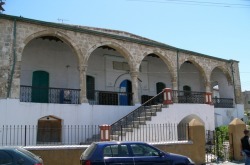 Late 16th century Cami Kebir in Larnaca has a simple rectangular prayer hall entered through an elegant portico. 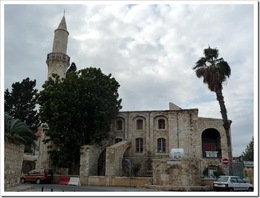 If you climb to the top of the minaret you can get a view of the old houses which cluster around the building. 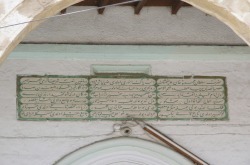 The Masjid was restored in the 19th century by the governor Seyit Elhac Mehmet Agha. There is a graveyard in front of the building.